Beryl D'Shannon wing tip fuel tank install | AVSTAR Aircraft of Washington, Inc.
A customer desired extended range and increased useful load. The answer? 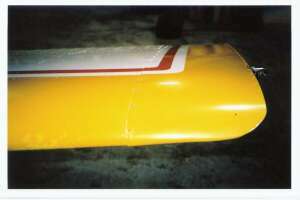 Beryl D'Shannon wing tip fuel tanks. Beech Debonair arrives to our facility for BDS tip tanks. As part of the job-acceptance inspection, the aircraft was defueled, and fuel cells were purged. Holes are marked, plotted on masking tape from the original screw locations. 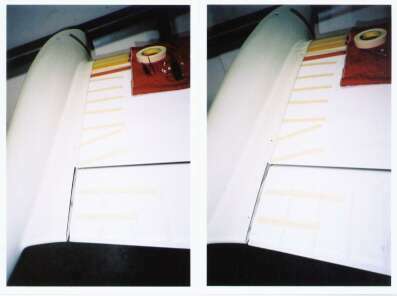 Then, the original tips and ailerons are removed. Tip tank held in place, a couple of holes are marked. 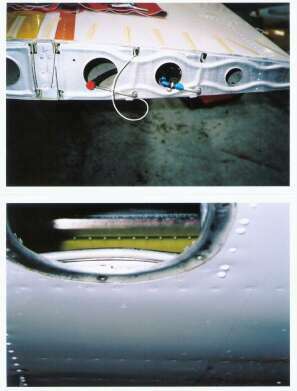 Tank removed, holes then pilot drilled; back onto aircraft for fit. Holes adjusted as required. After confirming alignment, the piloted holes are upsized, then the tip screwed back on. Remaining holes are plotted, tip removed, holes pilot drilled, back on aircraft for confirmation, removed. All holes made to proper size. 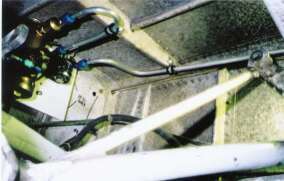 Fuel lines installed to wings. When running adjacent to moving parts (screws in inspection panels), make sure there will be no chafing. 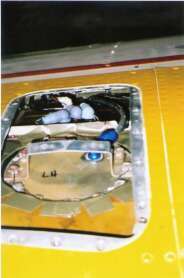 Wiring at wing was changed for plug into tip tank harness. Location for transfer pump and valve was plotted. Then the assembly was mounted. Fuel lines are carefully made so there is no binding or stress. 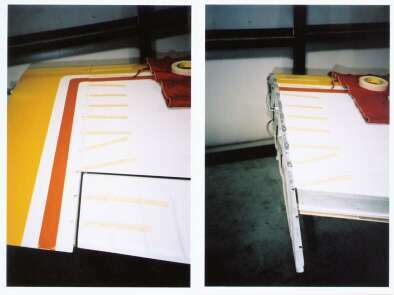 Clearance to moving landing gear parts is checked with every line placement. Plumbing completed at inboard cell access plate. 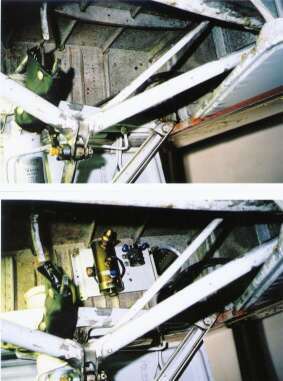 Final connections are made at tip, tip tank installed and secured. 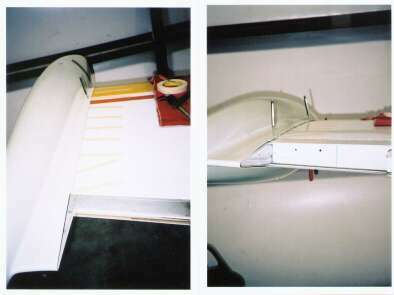 Aileron re-balanced as required and reinstalled. "Pump-On" indicator lights were added above newly installed transfer switches. 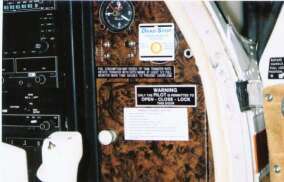 Eventually, a left / right selectable fuel level gauge will replace the clock. Required placards installed. Aircraft was then fueled, leak and operational inspections performed. Return to service paperwork includes the form FAA-337 (including listing any variations to the STC'd product), weight and balance / equipment list entries, AFM / POH supplements installed, and the log book.